In quantum mechanics, the Planck unit of time (tP) is the smallest 'duration' that is possible. A Planck unit is the time required for light to travel in a vacuum a distance of 1 Planck length, approximately 5.39 × 10 −44 seconds. At 1 tP after the Big Bang there were equal amounts of matter and antimatter. 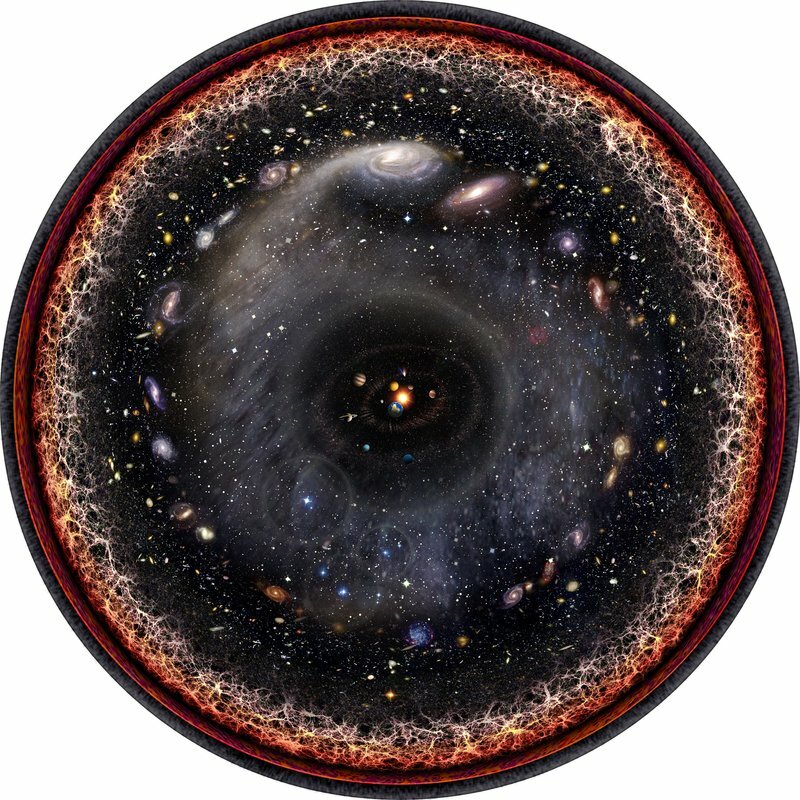 Our observable universe, however, is currently comprised of, for all intents and purposes, only matter. We have not been able to find evidence of any significant amounts of antimatter. So one of the greatest mysteries of our time is, a moment after the big bang where did the antimatter go? On a large scale, matter in the universe is spreading out. More accurately, however, it is moving away from us. In a flat universe these two statements mean the same. However, if the universe curves back on itself, the statements are very different. Matter is not only moving away from us but there is good evidence it is accelerating away from us. If the universe is flat, we have no explanation for the accelerating expansion. We simply say the phenomena is due to dark energy.​​ If the universe curves back on itself then the accelerations we measure could indicate that everything is moving towards a point outside our observable universe. Consider the rendering to be very flexible and think of the outer blackish ring wanting to snap to a point at the south pole such that the entire surface is used to cover the sphere without any wrinkles.